Bryan Kratzer, owner-operator of Farm Boy Garage, is a born and raised Iowa farm boy. He was taught to work hard, be honest, and self-reliant. His word is his bond. 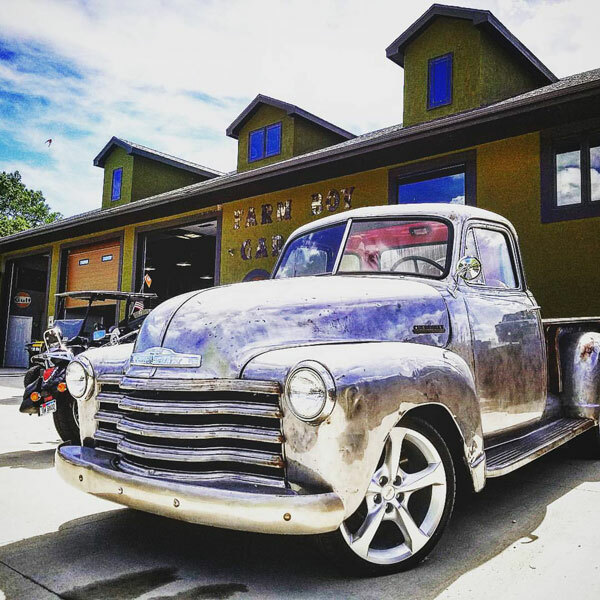 At Farm Boy Garage, our muscle car restoration and classic truck restoration is done on site. Farm Boy is a one-stop shop, your classic car does not leave the garage until the complete restoration job finished. Bring in a junker and leave with a classic! We restore classic cars, muscle cars, and classic trucks for collectors and classic car enthusiasts from around the world. Call us, tell us, and we will get it done. Complete muscle cars built inside and out, to order. Your satisfaction is guaranteed. Click Here to Give Us a Great Review on Google!